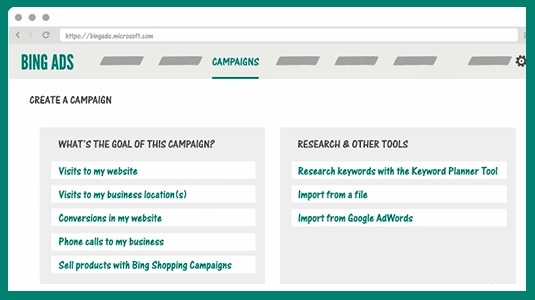 Bing Ads simplifies campaign planning and recommends features, based on your goals. These can help you engage with more customers, increase awareness of your products and services, and drive more sales. Bring more of the right customers to your website. Make more revenue when the phone rings. Show customers the way, right into your store. Showcase your products with eye-catching visual ads. Compel your customers to take an action on your website. Bing Ads experts can help you with advertising techniques and optimization ideas -- whether you're starting a new campaign or making your existing ads work better for your business. Choose your campaign goal. Follow the recommendations. Start your ads running.